Thanks to Tom of Pasadena, CA who sent this collection of signs. 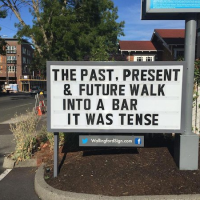 A little pun goes a long way. The email said it was done by a sign company in Seattle, WA.